Found a C3TF-12127 K Ford Dist. 3FB distributor in my garage. Good condition, dropped it in my 292 and seems to work fine. I believe it is a 63-65 Ford dist. Could anyone tell me what it is worth? Off a 63 or 64 truck. C3 indicates it was first used/made for a 63 and Y's were used only in trucks in 63 and 64. Thanks for your info. 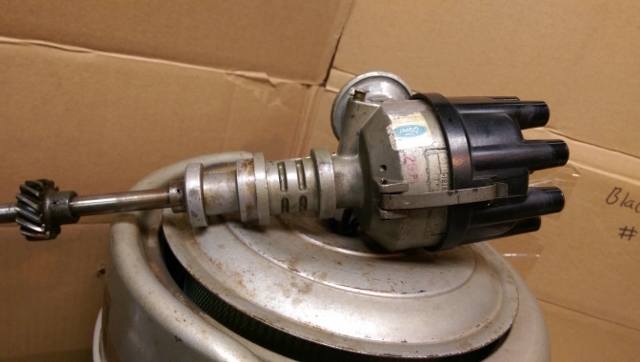 This is then both a mechinal/vacuum distributor? 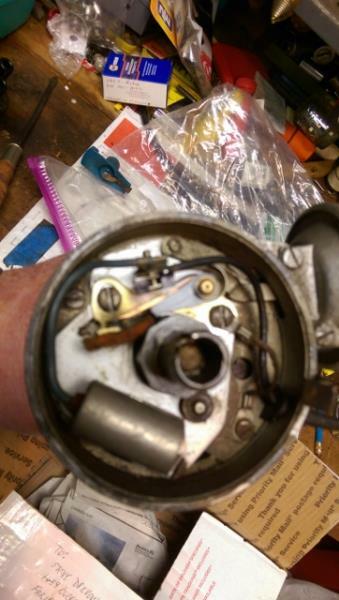 Like a 1957 distributor, and has bushing rather then bearing, form what web told me. Does it have value for this and that is marked with Ford. From what I’ve read lots of problems with trying to buy over counter ones. Yes, it is a DUAL ADVANCE DIST. Like Paul said, C3 narrows it down to 1963 issue. 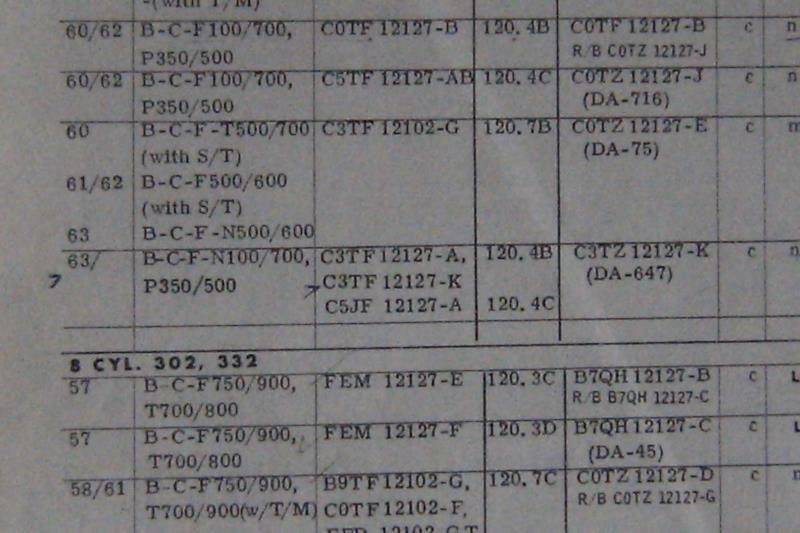 You would need a TRUCK MASTER PARTS CATALOG to positively ID the original application. 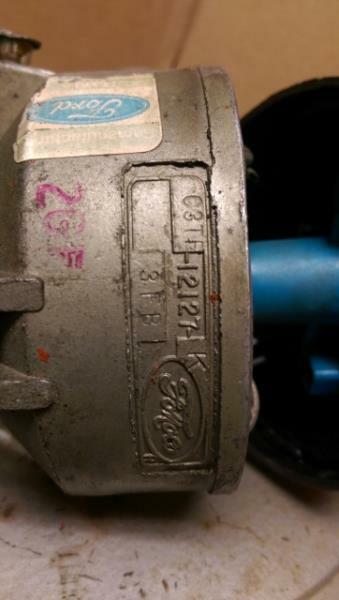 In addition, yours appears to have a FORD REMAN decal and additional ID STAMPINGS on the bowl. FORD went to DA in 1957, a re-design in 1959 and another re-design in 1960. Yours is valuable in that cores are in shortage and re-builds assembled incorrectly. I guess the easiest way to value it is to review EvilBay to see what they are valued there.